On behalf of the LaFontaine Automotive Group, I’m thrilled to let you know that we’ve just been named one of the Nation’s Best and Brightest Sustainable Companies. This award celebrates organizations that inspire and produce green technology to impact the industry and environment. 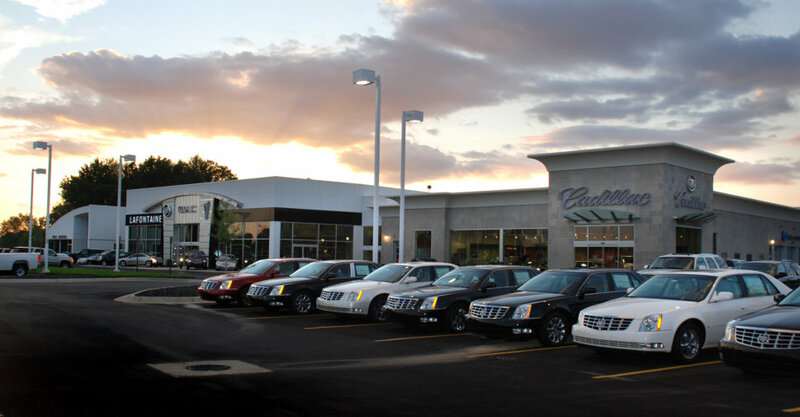 With LEED Certified facilities at LaFontaine Cadillac Buick GMC, LaFontaine Chevrolet and LaFontaine Volkswagen, the LaFontaine Automotive Group is a national leader when it comes to building “green” dealerships. We’re honored to be included with fellow winners who are making their businesses more sustainable, the lives of their employees better and the community, locally and globally, more responsible as a whole. The official press release from the National Association for Business Resources and this year’s winner are below. The National Association of Business Resources would like congratulate the 2014 National Best and Brightest Sustainable Winners. These organizations have a focus on inspiring sustainability and are taking the lead on Green initiatives. The Best and Brightest Sustainable Companies® honors companies from all industries that are focused on being more sustainable, improving the lives of their employees and are committed to the local and global environments. Each company’s entry is evaluated based on a point system; those receiving the highest points in relation to the company’s sustainable initiatives category are selected as the winners. The Best and Brightest Sustainable Companies® celebrates organizations that inspire and produce green technology to impact the industry and environment. This is the premier awards symposium that celebrates those companies that are making their businesses more sustainable, the lives of their employees better and improving the community locally and globally as a whole.